Three of Colorado's historic gold-mining towns are still home to riches — but these days, it's from casinos in Cripple Creek, Central City and Black Hawk. In 1859, prospector John H. Gregory panned nearly $1,000 of gold dust from a gulch 40 miles west of Denver in what became known as “The Richest Square Mile on Earth.” Indeed, the hills surrounding the towns of Central City and Black Hawk yielded tons of the precious metal, and fortune seekers hoping to share the bonanza descended on the region. A century and a half later, visitors still venture here looking for "gold." Colorado has numerous gaming venues that range from intimate parlors to enticing resorts, such as those of Black Hawk and the southwest corner of the state in Ignacio and Towaoc. Visitors tempt Lady Luck at limited-stakes black­jack, craps, roulette and poker tables as well as slot and video machines in 26 casinos. Farther south, Cripple Creek, another gold-mining-turned-gambling town, is tucked in the mountains an hour from Colorado Springs with 16 casinos. In 2009, the state’s casinos increased betting limits to $100, added new games and began operating 24 hours a day. In addition to the excitement of gambling, each destination offers fine dining, luxurious hotels and, most importantly, authentic slices of history. 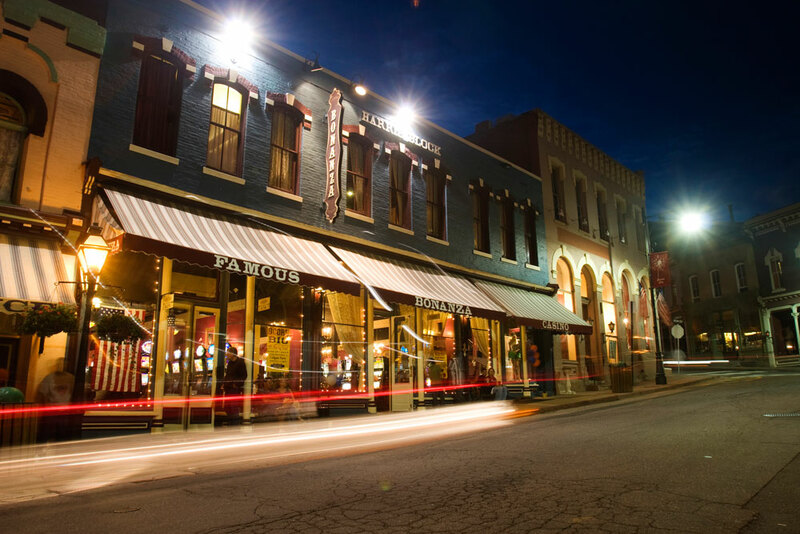 Casino revenue has helped preserve and restore the towns’ 19th-century charms, as well as more than 600 other historic properties across Colorado. Today, you can stroll downtown Black Hawk past 100-year-old storefronts, catch a performance at the 132-year-old Central City Opera House or visit the Cripple Creek Heritage Center. Find listings for Colorado casinos or plan a getaway to Colorado resorts with casinos.